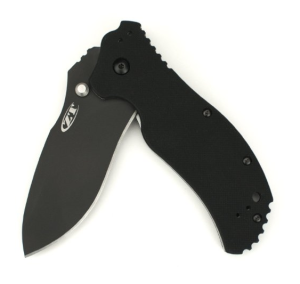 A modified version of the classic Zero Tolerance 0300 model, the ZT 0350 takes the exceptional features of its predecessor and brings them to an entirely new level, successfully making the 0350 an excellent assisted opening knife that will perform to the rigorous standards of any high-quality folding knife. With remarkable features such as an extreme, rugged durability, a secure grip, and the use of a premium-grade stainless steel in its blade, the 0350 is the perfect tactical knife for avid outdoorsmen, military and police figures, and otherwise knife-lovers. A large part of what makes any knife great is the metal used in its blade, and the use of Crucible’s CPM S30V steel in the 0350’s blade is definitely one of the more significant factors in the knife’s quality. S30V steel is a premium grade stainless steel, and is at the top of its class with other high-quality steels such as ELMAX and M390 steels. The use of chromium, carbon, vanadium, and molybdenum gives S30V extremely impressive levels of toughness and wear and corrosion resistance, features which put S30V steel far above other popular, more common metals such as 154CM, 440C, and D2 steels. Thanks to the steel in its stonewashed blade, the 0350 knife has a renowned durability and toughness, and can go anywhere that you can. A textured (with matte black scales) G-10 handle with a diamond-like carbon DLC coating not only provides an excellent, ergonomic grip, but it also makes the knife’s handle non-reflective, which can be very helpful for its users, especially police officers and military figures for whom the knife was originally made. The award-winning, patented SpeedSafe ambidextrous opening system, invented by knife maker Ken Onion, allows for a smooth and easy blade deployment at a moment’s notice, for lefties and righties alike- even in combat gloves. A quad-mounting system makes carrying this knife incredibly easy. Due to its design, accidental release of the blade is prevented, eliminating the fear of an potentially dangerous unexpected opening. The blade of the knife is partially serrated, which adds to its impressive cutting versatility, and gives the knife a further extended range of useful purposes. One of the things that makes this knife so great is its size. 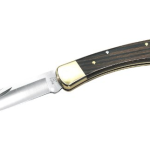 With an overall length of 7-5/8 inches, a closed length of 4-5/8 inches, and a blade length of 3-1/4 inches, this knife is 10% smaller than its 0300 predecessor, and will fit comfortably just about anywhere. The blade itself is very thin, at 1/8 of an inch, with a handle length of 4-1/2 inches and a handle thickness of 1/2 of an inch, adding to the knife’s everyday usability. The knife is a little bit on the heavy side, at 6.2 ounces, but is not too nearly heavy enough to discourage one from buying it. Although not so big, this knife is incredibly aggressive, and will perform satisfyingly on camping trips, for survival purposes, and everything in between. 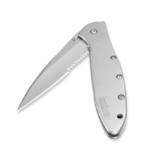 Although the ZT 0350 is an excellent knife, it possesses a few less desirable traits. For some, the weight of the knife is a little too much on the heavy side for their liking. Some do not like how the handle is too close to the opening studs, and some lefties have complained that gripping the thumb stud is a little tricky. Aside from these minor details, however, the 0350 is an excellent, quality-knife ideal for any knife-user. Some may view a price of $130 to be slightly on the expensive side, even for a quality knife of S30V steel. 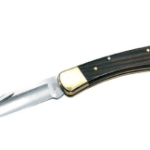 All things considered, however, for the features you are getting out of the knife, $130 is definitely not a crazy amount, and if it is in your price range, $130 dollars is a price worth paying for such a great knife. The Zero Tolerance 0350 knife is the ideal tactical folding knife for anyone looking for a quality blade that will serve them for a very long time. If you are one of those people, and the knife is in your price range, you should look no further than the 0350.